Yesterday is a prime example. 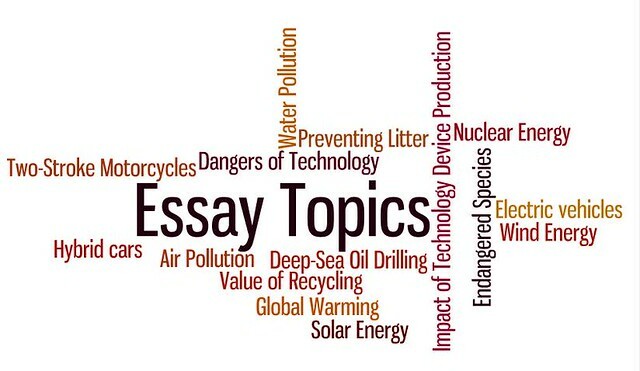 I’ve written about our work around developing a persuasive essay on an environmental theme. We’ve done the brainstorming, and the graphic organizing, and today, they will begin the writing of the introductory paragraph. I was looking around for some reading to keep exposing them to environmental topics when, bam, here comes my supply of Time for Kids with a double issue all about the environment. It was jam-packed with interesting articles on rain forests, the Everglades, endangered animals, kids who are making a difference and more. We read through a few of the articles, sparking a lot of discussion around the balance between environmental projects and economic growth. One feature in particular was helpful — the opinion piece on the phase out of incandescent light bulbs in which both sides of the debate laid out their case. This is exactly what they are doing in their essays, so we were able to pick apart some of the rhetorical devices and weighed words used when making an argument to persuade the other side. Meanwhile, today, as they start working on how to begin their essay in an interesting way, I am going to share my opening paragraph on my own essay I am writing (with them) on Fuel Cell Technology. I have used the comment feature in Word to make notes to them about what I was thinking as I was writing — a sort of meta-writing made visible. A lot of my students were feeling as if they weren’t sure what goes into an introduction as opposed to what goes into the body of the essay. The Monday after spring vacation is always an odd day, as kids re-adjust to the routines even as they are staring at the end of the school year not long down the road (I think, for us, in about eight weeks). And let’s face it: it’s a bit odd for me, too, to get back into my rhythm of teaching. As usual, I was up way too early, thinking about the day’s plans and how to engage them back into our work. I decided we’re going to hold off for a day on digging into the sections of the novels they were to read over vacation (The Watsons Go to Birmingham and The True Confessions of Charlotte Doyle) since I know there are going to be some who did not read or did not remember to bring their books home. This gives them an extra night to catch up before we head into the center of both stories. We will likely spend a bit of time working on our graphic organizer for our Environmental Essay Project as I work with them on organizing thoughts on the wide range of topics they have chosen to write about. Later this week, the real writing begins and I want them to have as many organizational strategies as we can muster to keep them focused. So, what will we do, then? I won’t get to our official poetry writing/reading unit for another few weeks, but still — it is April. I think what I will do is pull out Walt Whitman’s O Captain, My Captain and read it to them. We used a Time for Kids article before vacation to learn more about the Civil War and we talked a lot about President Lincoln’s role, and assassination. (And who can resist the classic scene in The Dead Poet’s Society, right? Poetry is of the heart). This is a fascinating look at the concept of “spaces” when it comes to technology and learning. Ewan McIntosh really brings is into the ecology of the mind with his presentation. It’s worth watching the video and reading his blog post because it forces you to draw back and see the classroom from other angles. Just in time for the push of Common Core curriculum alignment by our state, and many other states, Sara Holbrook’s Practical Poetry: A Nonstandard Approach to Meeting Content-Area Standards is, well, practical and useful and full of interesting ways to merge poetry with math, science and social studies. I was lucky enough to receive this book from Lisa, thanks to a poetry contest she held at her blog (Effective Teaching Solutions), and the other night, as my son was in basketball practice, I dove in. Holbrook is a poet who has gone into many classrooms to work with students, and her insights are valuable around the ways that poetry can engage and connect writers with various elements of curriculum, without making it boring. This is creative learning. She notes that poetry is one of those topics that seem to be left out of discussions around curriculum change, particularly as we move into more expository writing (ie, the Common Core) and leave more narrative writing behind. But she lays out a strong case for keeping poetry alive and well in our schools. While she begins with a look at the Language Arts classroom, she then shifts gears into how to bring poetry ideas into math, science and social studies in meaningful ways. While she acknowledges that some might scratch their head on these connections, she patiently lays out her rationale for each subject area, gives specific lesson plans and provides many student and her own exemplars. And in the field of social studies, she notes that the lens at which we make sense of the social and political and geographical contours of our lives and the lives of others also connects with poetry. Yes, she hovers around our testing society and what that often means for creative writing, and again, she strongly makes the case that poetry is another way to help students achieve on standardized testing by moving beyond the drill-kill methods. There are ways to meet curriculum standards AND still spark creativity in our students. We need to remember that. My sixth class will soon be moving into poetry and I am going to have Holbrook’s book of ideas right on my desk. I also will be bringing it to meetings I am sure we are going to be having next year as we re-configure our district’s curriculum map to align with Common Core. I don’t want to lose poetry, and Holbrook’s Practical Poetry may help me make my case.